The Goldilocks of heart rate monitors, the Polar FT7 is that one piece of equipment designed to help track your game – and then surpass it. 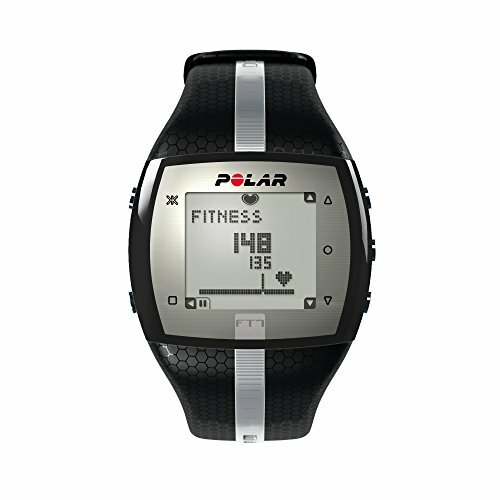 This Polar FT7 review takes into consideration the various aims of a well-rounded exercise regimen and how the device stacks up to these goals. 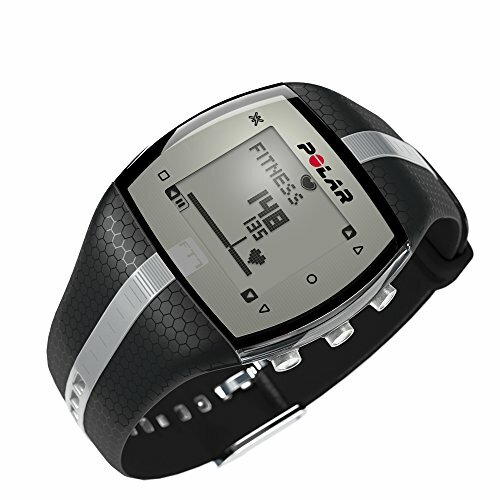 Worn as a watch, this heart rate monitor encompasses the regular features of a training watch. Moreover it incorporates several functions that render it closer to a smart-computer than a fitness buddy. The Polar FT7 is a worn device that is lightweight and not so big as to dominate the wearer’s arm and is sturdy enough to remain attached during high intensity intervals and rapid cardio training. The FT7 is a solid watch that has proven technology. On the downside it is not a brand new watch. In case you are looking for the latest tech in multisports tracking devices you may take a look at our list of fitness trackers for triathletes. Interested buyers should get the bundle consisting of the FT7 sports watch and the additional Polar H1 chest strap. The chest strapped is designed with a wearer’s comfort (as well as body condition) in mind as, in place of hard plastic contacts, this model uses cloth contacts that must be wet and attached. This allows either option to remain firmly intact and keep up with the user during intensive training rounds. Another good thing is that the battery inside the FT7 can be replaced easily. Check out battery size and replacement list. More than just watching your heart rate, the FT7 is unique in its conception because it allows the user to record, track and then surpass. The beauty of this device is in its analytics and feedback mechanisms. I will show you now in this Polar FT7 review how the training program will help you to improve your fitness. So let’s begin with the sensor data it captures. The Polar FT7 is able to do perform the most basic tasks with ease such as recording heartbeats per minute, measuring percentage of max heart rate and calorie counting. Polar stats that this training watch is ideally suited for the gym, for your yoga classes and even for your training outside. Additionally, a special feature known as the “Training Load” observes the load that the user is working at currently and suggests various adjustments. This is also helpful for people who are breaking into a routine and need to ease into it. The Training Load indicates to them where there may be exerting too much or where their routine could see more intensity. During your workouts the watch advises you with its visual and sound alerts. Whether in intensity, reps or even length or programs the watch will adjust for your training goals. It reminds you speed up or to slow down in order to stay in your target heart rate zone. This is incredibly important for you if you are working toward a particular point in your regimen. Furthermore Polar’s HeartTouch technology allows you to operate the watch button free. Switch different training information by moving the training watch next to the transmitter. This is very helpful when you are not able to press buttons because you wear gloves. 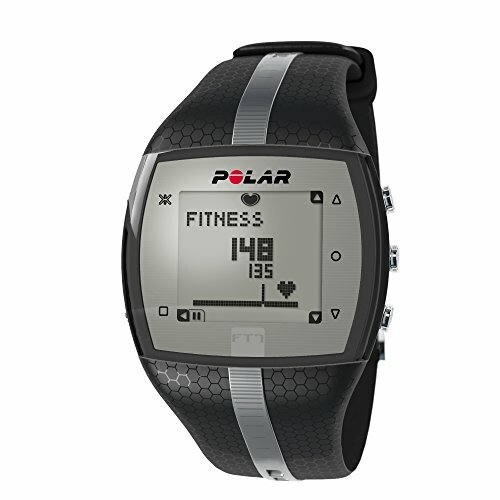 Besides the recording and analysis, the Polar FT7 also has built-in training programs and an accompanying training diary. The training diary allows users to keep and track the stats most relevant to their type of training over the day, week and month. So, smart watch, mini-computer or training buddy? This Polar FT7 review helps you decide: maybe, it’s all three, and then some. Because the FT7 has sufficient memory inside it will store your last 99 workouts. Given that you can see your performance increase over time. With the help of the graphical target zone indicator you are able track your current and target heart rates. After each workout the FT7 will show you a summary of your maximum heart rate, average heart rate and the amount of calories you have burned. Polar’s “EnergyPointer” feature tells you if you rather are burning fat or increase your fitness level during your training. However, the FT7 kicks it up a notch with additional features: The Polar FT7 workout watch allows you to transfer your workout data to your PC via the additional Polar FlowLink accessoire. You have to buy the Polar FlowLink seperately. Moreover Polars technology “Polar OwnCode” allows you to enter a specialized code so a recorded heart rate is synced to only a device of your choice. However, in case you are looking for devices that provide GPS functionality you may take a look here. For visual persons, the watch also displays analytical heart rate data and fitness stats in an easy-to-view graphical form. An important function of a durable heart rate monitor is that it be slip-resistant and movement ready. But what about water resistance? Is the Polar FT7 suited for swimming? Barring any diving, the Polar FT7 incorporates this perk as well and remains resistant during swimming. However polar does not recommend to push any buttons while being in water. If you are a swimmer, probably you should also take a look at our list of waterproof fitness trackers for swimming? The instant feedback, ease of reading and the accuracy and consistency of readings are some of the best features about the Polar FT7, at the end of the day. Touted as less of a tracker and more of a total fitness routine and exercise buddy, the reliable and comfortable device is a suitable companion for fitness on the go. The reliable and comfortable device is a good companion for runners and also for your daily workout.